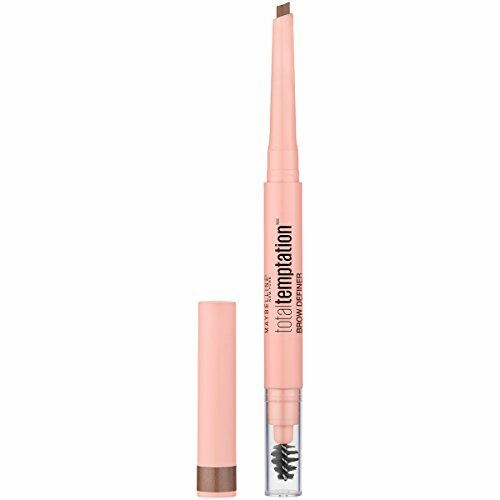 TOTAL TEMPTATION MAYBELLINE EYEBROW PENCIL: Fill in eyebrows with this must-have defining eyebrow pencil, featuring a teardrop tip. Shape with pencil & blend with the eyebrow spoolie brush, for a softly defined natural-looking brow. DEFINE YOUR BROW: No eye look is complete without Maybelline Eyebrow Makeup-frame your eyes & fill in brows with our precise Micro Eyebrow Pencil, TattooStudio Waterproof Eyebrow Gel, or arch-defining Total Temptation Eyebrow Definer Pencil. MAYBELLINE IS THE EYE EXPERT: Whatever your signature eye look, natural or dramatic, Maybelline helps create looks that draw eyes with a broad selection of pencil & liquid eyeliners, highly pigmented eyeshadows, iconic mascara, & eyebrow makeup. MAYBELLINE HAS WHAT YOU NEED to create any look-foundation, bb creams, concealers, & highlighters for the perfect canvas, eyeshadows, brow pencils, & eyeliners for any eye look & lip products, from showstopping matte lipstick to au natural lip balms. REMOVE MAYBELLINE MAKEUP WITH MICELLAR WATER: Use Garnier Micellar Water as a gentle makeup remover at night, & as a facial cleanser in the morning to prep skin for Maybelline makeup. 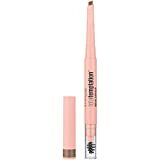 Maybelline TattooStudio Waterproof Eyebrow Gel Makeup, Soft Brown, 0.23 fl. oz.